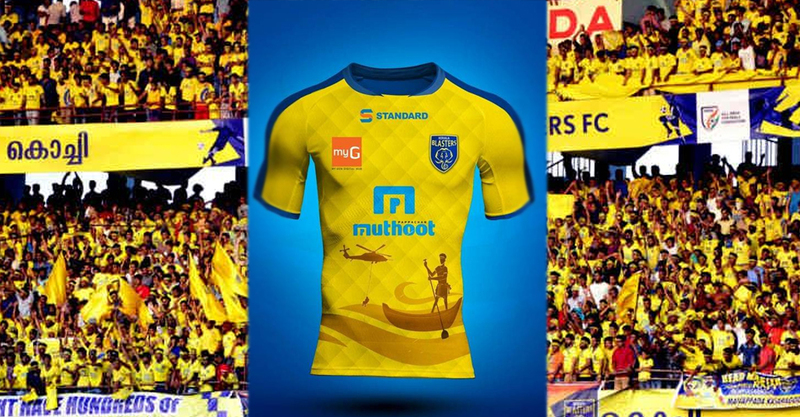 As a mark of respect to Kerala’s fishermen community and the armed forces for their rescue efforts during the recent floods, ISL team Kerala Blasters on Friday will wear a special jersey when they take on Mumbai City FC at Jawaharlal Nehru Stadium in Kochi. The yellow jersey will be adorned with an artwork of a fisherman in a boat and a security personnel carrying out rescue operations. The team will also honour the fishermen community who played a pivotal role in the rescue operations when the state was inundated with floodwaters. The fishermen community helped rescue thousands of people marooned across the affected areas during the floods. They reached out to worst-hit areas, with some of them spending money out their pocket to transport their mechanised boats. Venturing into the inundated areas, hundreds of fishermen were involved in providing relief materials, essential food items and drinking water to the rescue camps. A large number of the fishermen who were a part of this humanitarian effort hail from districts such as Malappuram, Kollam, Kannur, Thrissur, Ernakulam and Thiruvananthapuram. Kerala Blasters too organised camps to collect relief material at their stadium in Kochi. As per official figures, over 200 people lost their lives and thousands were affected in one of the worst monsoons the state had seen in a century.